We just had a custom craft closet installed in our home, and I wanted to add a special touch with this DIY Stencil Wallpaper. 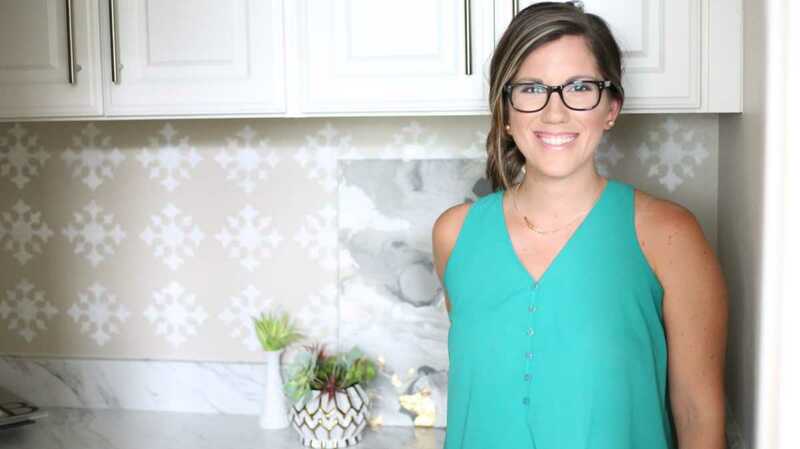 It is much more affordable than tile and wallpaper, and it’s a project you can do ANYWHERE. In addition to it being cost effective, you can size your stencil tile perfectly to fit your space. 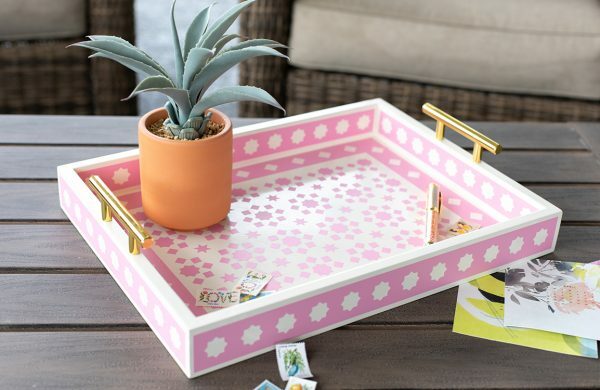 Enjoy this fun home décor DIY craft project! Measure your wall from side to side and top to bottom. 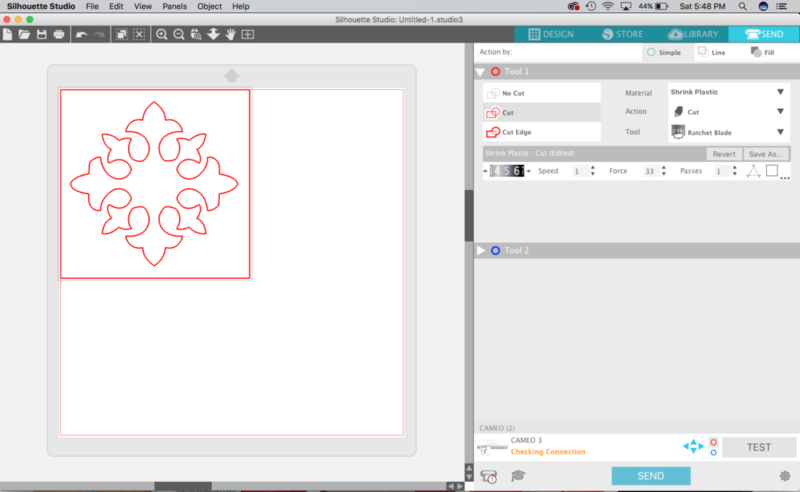 Figure out how you will need to size your Silhouette stencil art so that it will evenly tile in your space. My stencil is a 6-inch by 6-inch square. 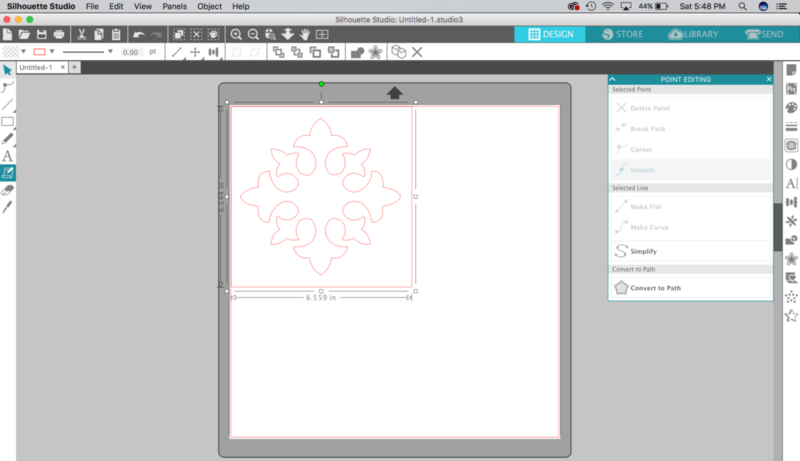 After purchasing the art in the Design Store (Design ID #32330), open the file in Silhouette Studio®. 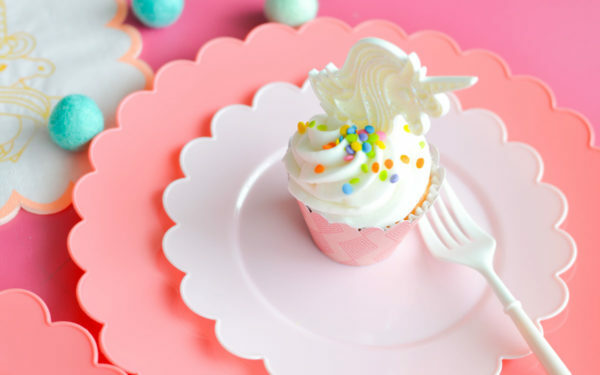 Adjust your pattern, and size it to perfectly fit your space. I simplified the design to just the center section, but I am planning on doing the full design with another stencil on another wall of our house because I love it so much! 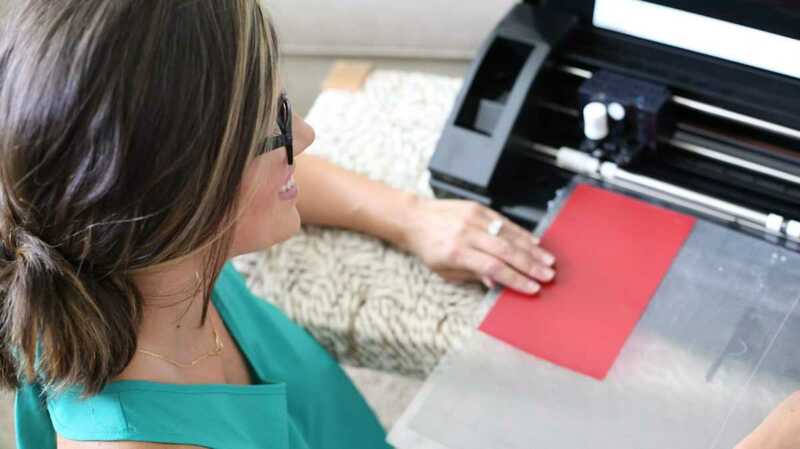 When you open the Send tab, everything the Silhouette machine will cut will be highlighted in red. If you are using a ratchet blade, set your blade. I have an AutoBlade, so the hard work is already done for me! When the Silhouette is finished cutting, weed out the excess plastic and tape the stencil to the wall with transfer tape on each corner. With your flat stipple sponge brush get a VERY small amount of paint on the brush and apply the paint on top of the stencil. The less paint the better because you will get a more textured look and the paint won’t bleed through the stencil. 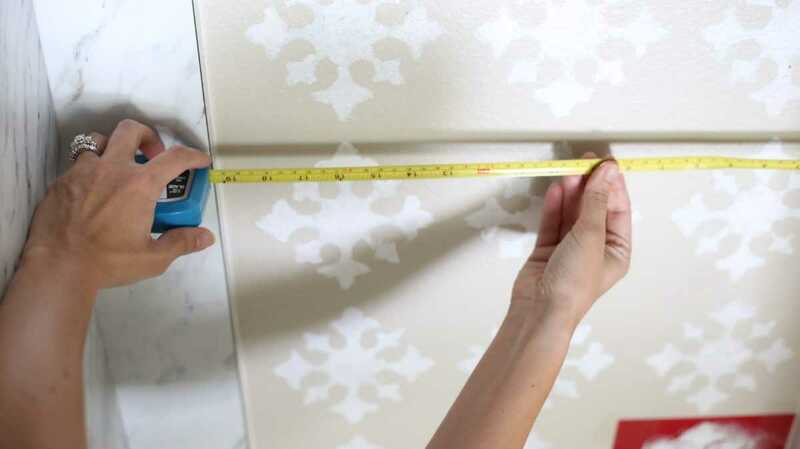 Carefully remove your stencil and reapply it to the wall and keep repeating in your desired pattern on the wall. 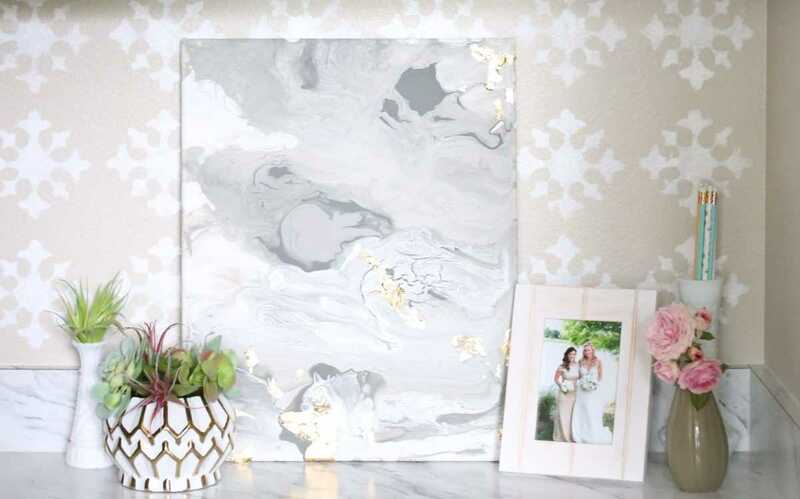 How easy was this home décor DIY wallpaper stencil project? Until next time friends!